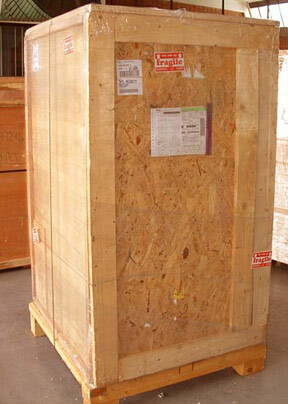 We take expert care of your large, fragile, awkward and valuable shipment! meet or exceed carrier requirements. arrive exactly how you sent it. We offer very cost-effective shipping alternatives for large items, or many small packages going to a single destination. Because we do both small parcel and freight shipments under the same roof, Box King has the ability to provide you with multiple choices to meet your budget and timeframe. We utilize multiple freight trucking companies to get competitive bids for your shipping dollar. If your shipment is too large for you to transport, call us. We will do an on-site quotation at no cost or obligation. For freight shipments too large for customers to bring in, we are happy to offer pick-up at your location. We can also arrange for a blanket wrap freight shipment, the safest method of transportation for your extremely delicate or valuable item.